All settings and presets are saved into a local database file. 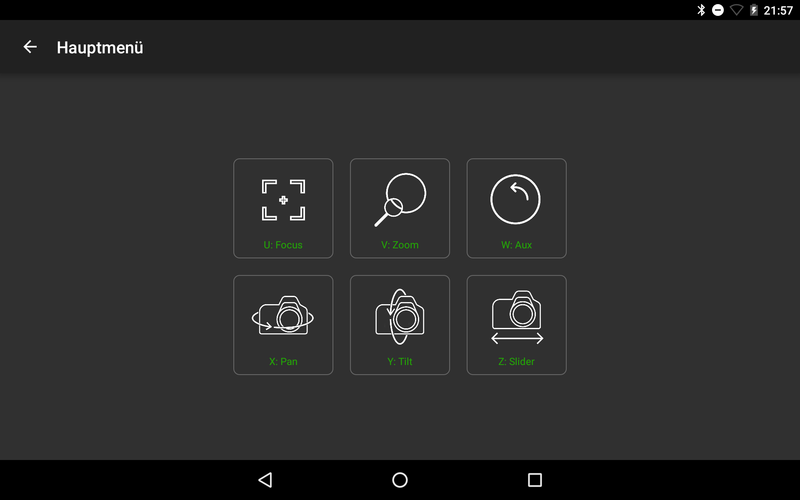 This way, you can make backups of your settings and transfer them to different Android devices. Each of the 6 axis can be configured individually. 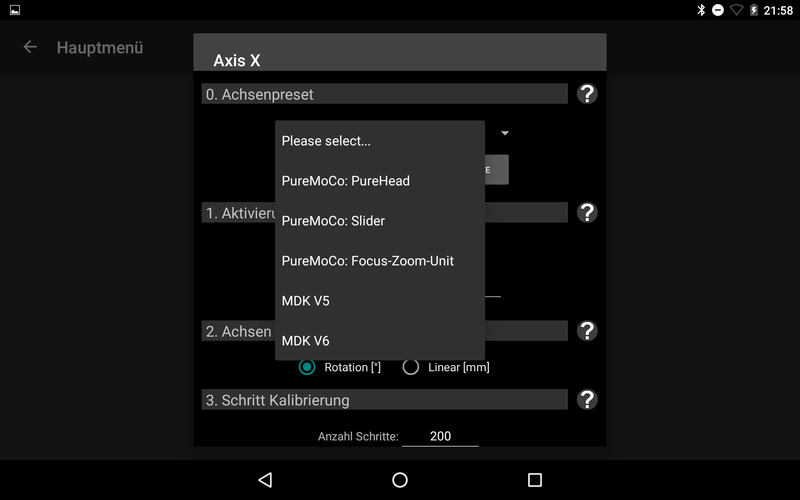 You can setup the maximum speed and other important settings to fit your specific setup. When using the SilentStepStick TMC2130 stepper driver (like in our PureControl), you are able to set the stepper current for running and for idling. 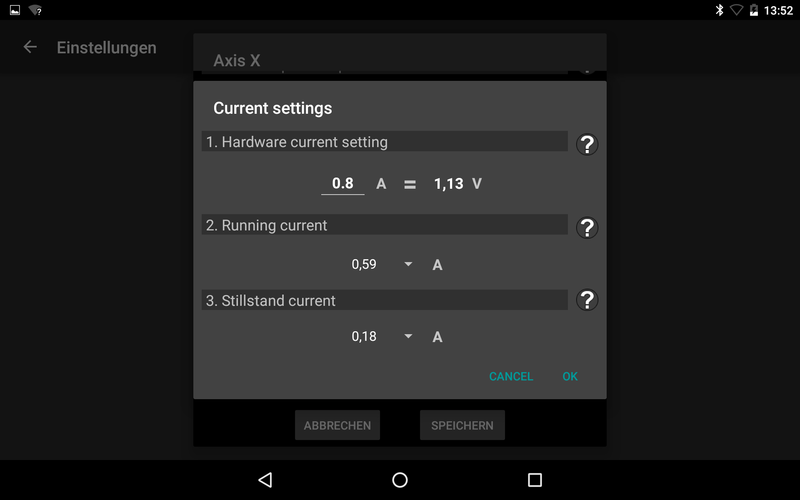 This way, you can setup the ideal current for your stepper motor. Smaller motors like NEMA11 will usually need much less current than NEMA17. With the correct current setting your stepper will not overheat and you will reduce the power consumtion. The maximum speed which your stepper motor can reach is depending on many factors (supply voltage, current, motor type, load etc.). For a correct function and movement, it is important to set the maximum movement speed for each axis. 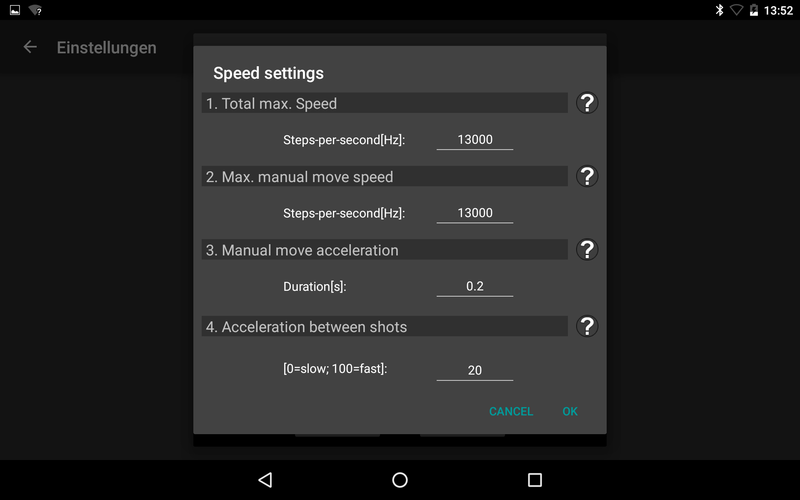 You are also able to set the speed and acceleration for manual movement. With this setting you will determine how sensitive the controls are when moving in a manual mode. You can also set the acceleration amount for the automatic movement modes. This setting will make your stepper movement smooth (slow) or fast (jerky movement).